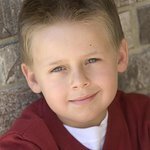 Jackson Brundage – the 9-year-old star of One Tree Hill – will attend CURED's (Campaign Urging Research for Eosinophilic Disease) 7th annual fundraiser being held this Sunday, May 2nd at the Arlington Park Racetrack in Arlington Heights, IL from Noon-5pm for a day of lunch and dessert along with a silent auction. This will be his second year attending and like last year, Jackson will be signing autograph pictures and speaking about why it is important for him to be there and help CURED. It’s hard to imagine life without food but many of the children living with Eosinophilic Disease must live this way. 1 in 1000 children suffer from it, and either get their nutrition from feeding tube or by drinking an amino acid formula. CURED donates 100% of the funds raised to research. They have donated over $1,500,000 to Cincinnati Children’s Medical Center, making them the leading researchers on this disease. Dr. Marc Rothenberg states because of CURED they have found two genes connected with this disease and are now beginning their second medical trial to block these genes. They have also donated $250,000 to Denver Children’s Hospital and University of Illinois Medical Center. They are creating a pill to swallow to take biopsies of the digestive system so that these children will not have to be put under general anesthetic every 2-3 months to have biopsies taken. Find out more about the disease and event at the CURED website.